Members of the Worship group explain who they are and what they do. What does the Worship group do? What is our Worship Group? 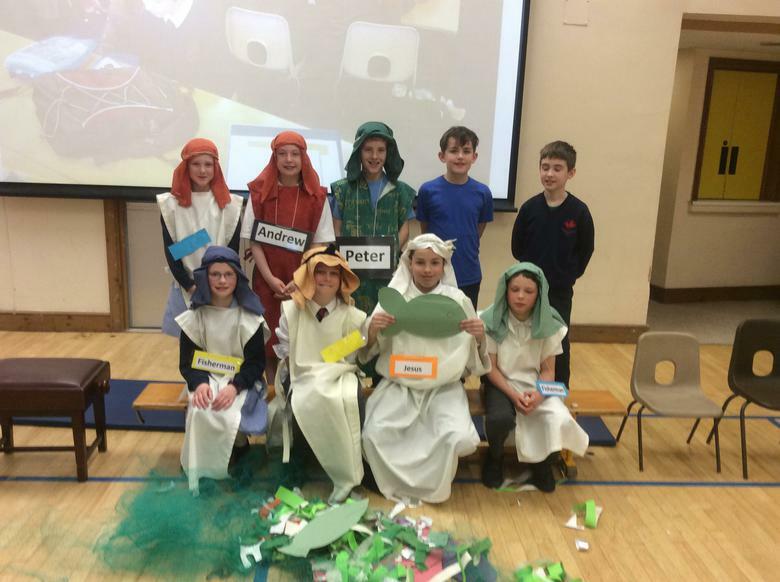 The Worship Group in school was established in September 2016. 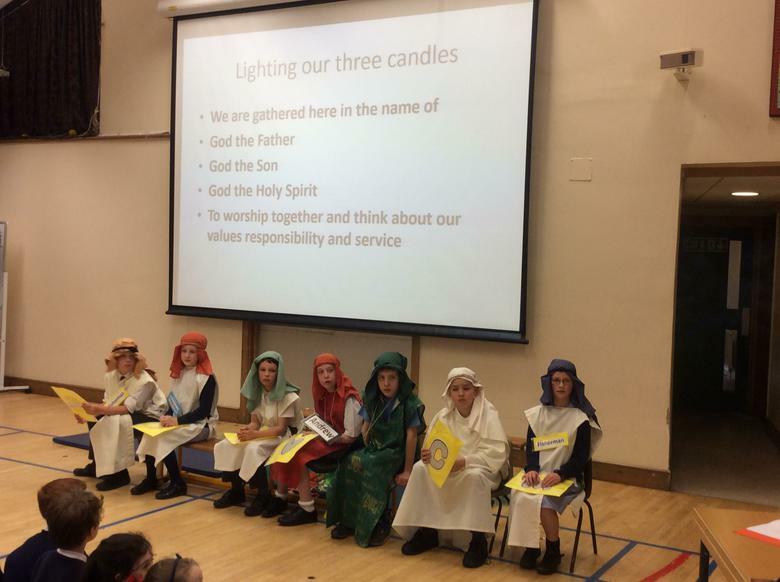 The whole of KS2 was invited to join the team, two from each class, to create a Worship Group. It was purely voluntary. 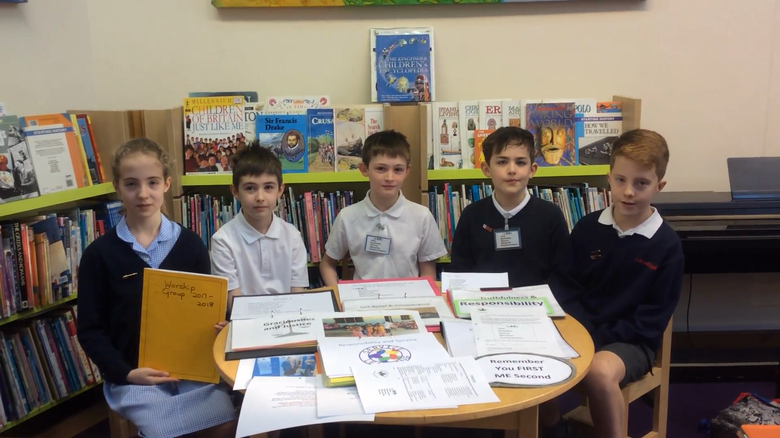 Two members from each KS2 class were invited to attend the initial meeting. (A pot of fairness had to be used as the response was so great) Twelve seemed to create a good-sized team. What should we call ourselves??? How do we make it work so that it is fair? All children are allowed to choose what they want to do as part of the team and are trusted to complete it. The team are very mixed academic abilities and special needs, and we feel we all learn together. Justice our last value is important, the children like the justice of the Zone Boards. They like the fact every day is a fresh start. It is OK in TROOP if you are feeling too timid to complete the task that is where we support each other. If someone gets something wrong it is OK we are all nervous. We just move forwards. 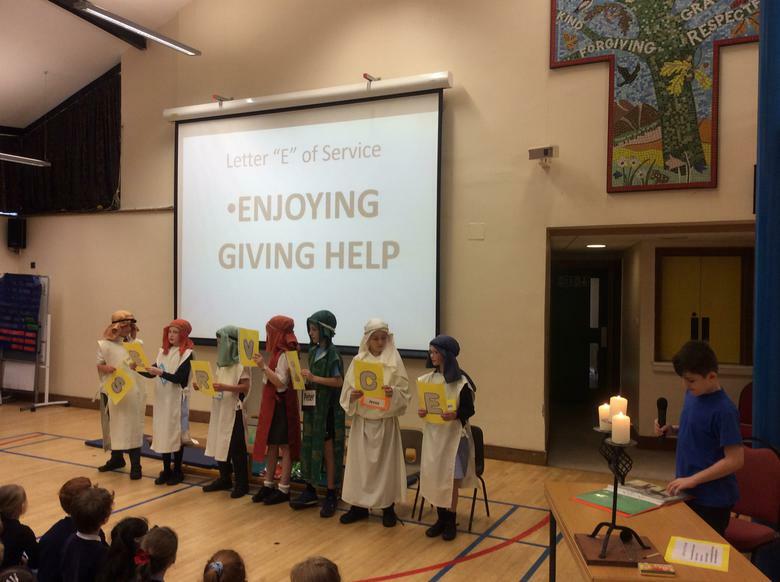 All members signed a contract once they had agreed the way forward to promote the Christian and British Values of each half term. Meetings take place during break and lunch times as well as some Monday Assembly slots so that the children do not miss out on their lessons. This is a big commitment needed from the group. Members of the group can leave if they find the commitment too great but so far, the team has remained constant. It is a team built on trust. Children meet to pray about and discuss the Value being promoted. 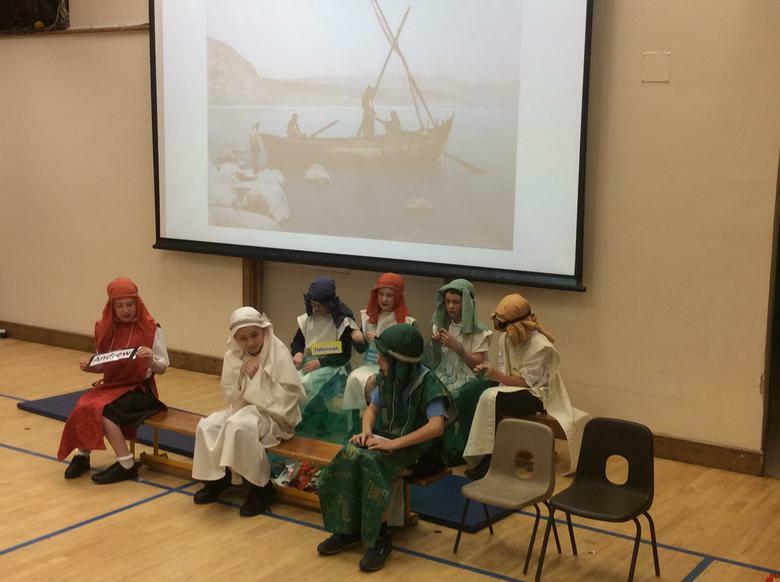 values introduced are always linked to a Bible Story e.g. the value of Justice has been linked to the story of the prophet Amos. 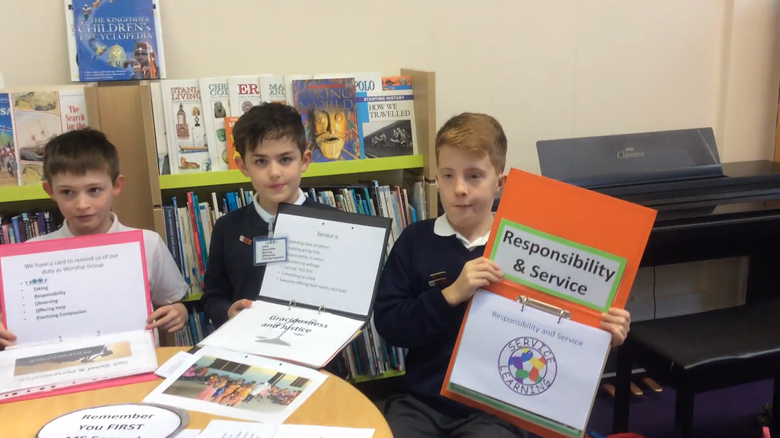 For example, we are at present looking at the values of Service and Responsibility for the half term after Easter. 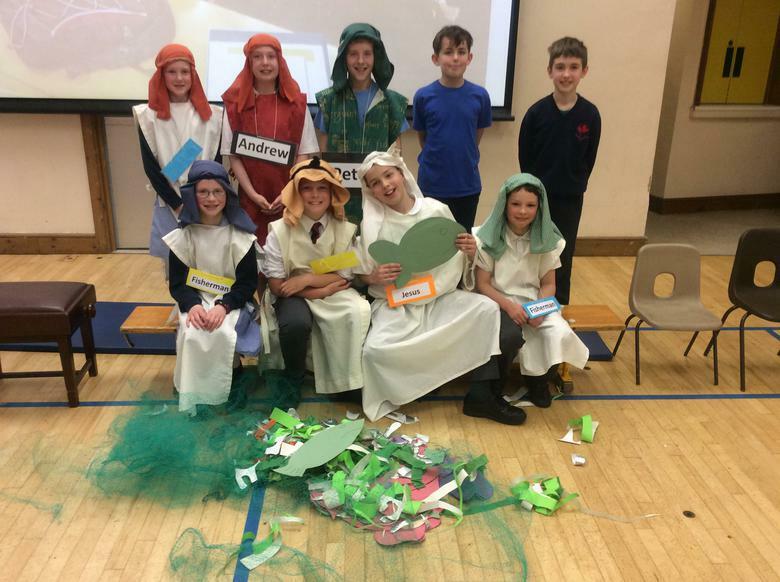 We will look for a New Testament story to show how Jesus served the people and at the same time The TROOP team think we should look at different ways pupils serve the school in sports, music, community. 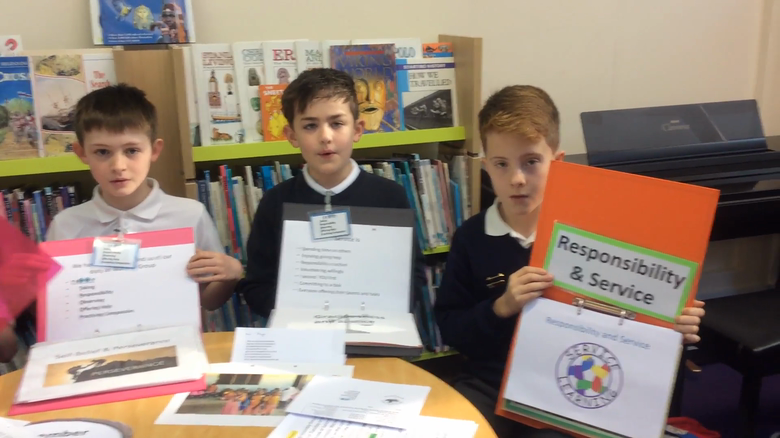 Looking to obtain photographs of pupils taking responsibility, like Learning Partners, Helping Younger pupils, looking after children if they fall over. Being part of a team. Supporting each other. This is the beginning, the planning stage before we look at creating a Power Point to help us with our assembly. TROOP Team feel that perhaps we need less acting in this next assembly and more photographs to talk about. The planning takes time. Sometimes time constraints make it difficult to see how it will all work out but we have been shown every time that because the children’s hearts are ready to do their best and the endurance of having to lose a few play times creates something they are very proud of. For example, the present value of GRACIOUSNESS has been a tricky one. The team decided that Darajani children showed graciousness when we sent them small presents of toothpaste and toothbrushes. We had to enlist the help of a teacher to download her photographs so that we could show them to the school. We asked the school to sit still and watch thinking about our value of graciousness. This action bought a message of harmony amongst the children. All wanting to help. From this a group of children are creating an Easter Basket Competition. All money collected will go to Darajani. Using their talents to help others. Mother of year 6 boy H who lacks self-confidence and is severely dyslexia said that he “loves” Worship Group. He rarely talks about school but after the Worship Group Assembly he told her about how the group worked as a “Team” and he had been helped by the team but that he had managed to get all the right slides in the right places and he “Loved” it. “I liked doing the slide show” J. J and H use their strength of ensuring the slide show runs at the correct times. "I liked acting and reading” Je. Je who is dyslexic and struggles with reading volunteers to read in the assembly. Well done. “I liked acting" R. This was set up because the children requested more acting, less reading. “I liked being responsible” B. B was given this job on the team to ensure all props in right place and microphones were working. This was set up after the feedback from the children. Another two parents have commented on how the group has helped their child’s self-esteem. They talk about their experiences and how the TROOP work as a team.